Learn How to Bartend in TWO weeks! Limited Spaces Available! Training Bartenders in Richmond and Greater Vancouver since 1981. Fine Art Bartending is Canada’s best bartending school. We have the most widely known bartender certification program, mainly because we have trained so many students just like you for more than 35 years now. Learn how to bartend at Greater Vancouver’s best bartending course and we will teach you everything you need to get started as a bartender. In the heart of Vancouver, we have an intimate and authentic classroom, which can also function as a pop up bar! 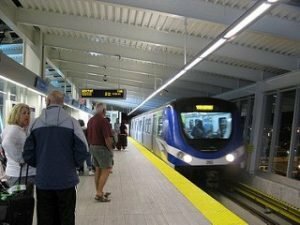 Jump on the Skytrain, like so many others coming from Richmond and Steveston, and head downtown. We train a new group of aspiring bartenders every couple weeks. New bartending graduates from Fine Art are always ready to start a career in the hospitality industry. We give you the knowledge, skills, and the confidence to get hired quickly. Our training manual is updated regularly with feedback from bartenders around Vancouver to ensure the cocktails we teach are exactly what you find in this part of the world. We insist that practice, practice, and more practice is necessary to perfecting any bartending skills. The bartending course at Fine Art is interactive and hands-on. Memory and repetition are necessary, as well as good work habits to keep your work are clean organized. Take the 30 minute Skytrain ride from Brighouse to Waterfront. We are only two blocks away from Gastown and Vancouver’s best bartenders. Join us for class, then find the best whiskey sour. We have you behind the bar for about two-thirds the time. 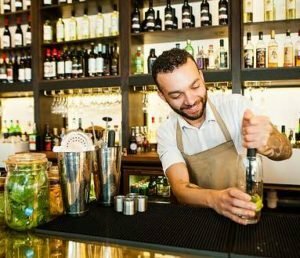 You will be working on your pouring skills, learning new cocktails and even interacting with customers. Note that we aren’t open to the public to serve drinks, we have your fellow students or a fun instructor play the role of the annoying and temperamental customer. Hands on practice is great, but each student needs to put in some time with the books. We spend about a third of your class time on teaching you some of the history of each spirit, beer and wine. We also share stories of what we have seen while working behind the bar, as well as what you should watch for as a customer. There are lots of bad bartenders out there, we want to ensure that when you come out of the course, you aren’t one of them. The 32-hour Bartending Course is designed to get you well trained as a bartender in only 8 days of learning and hands on cocktail making. For the Day and Evening Classes, we teach you to bartend behind real bars over two weeks. The Weekend classes are taught over 4 weeks, to make sure you aren’t rushed through the course. We want to make sure you have a great time learning how to bartend and know what you need to. Knowledge of spirits, liquors and mixes to understand each cocktail. Upselling techniques to boost bar sales, which ultimately means more tips for you! 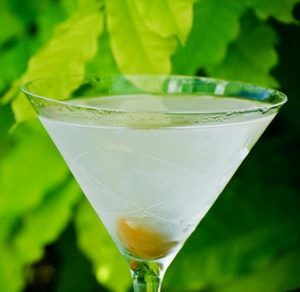 ​Before serving cocktails in British Columbia, Serving It Right certification is required. This even includes selling booze in a cold beer and wine, or liquor store. Take a few hours and get your Serving It Right Certificate. We do discuss responsible serving in BC, but the Serving it Right certificate is something you can do on your own. While at the bartending school, we focus on training you to become a bartender. 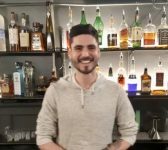 We want you to have a solid working knowledge of cocktail making, while learning how to maximize tips with a smile on your face. If you want to learn to bartend ASAP, we have DAY and EVENING classes regularly. New training sessions start approximately every two weeks. Weekend bartending classes are once per month. Have a look below at all our upcoming class dates to check when all our next classes start and pick a date and time that what works for you! If you don’t see dates far enough out, then send us an email. We generally have a rough idea of when the next batch of classes will start. Just ask. Register Today For Only $599. Regularly $749. Take advantage of our 2019 Special and SAVE $150! Soon to be bartenders from all around Vancouver have been coming downtown to get their training. For more than 35 years now, we have been Greater Vancouver’s best bartender training school. Your students love us! We want you to know how to make a bunch of great cocktails, but also how to be a great bartender. If you are looking to work in Richmond or Steveston, there are plenty of great hotel bars and small restaurants that always need help. We will make sure you know which establishments you should be targeting to get work fast. ⭐⭐⭐⭐⭐Taking this course was a great experience for me! I found a bartending job in Vancouver easily after I took this course. Although I didn’t continue to work as a bartender as my career with my boring engineering degree got too busy, I’ve gained entrance to a whole new knowledge through this course. Now I know my drinks to make at parties, what wine I prefer at a fine dining restaurant, or just the general knowledge of what all those bottles of liquid are when I hit the liquor store. I strongly recommend this course to whoever wants a jumpstart to a career in bartending, add more experience to your current bartending job, or even just there to learn more about alcohol, enjoy, and have fun! ⭐⭐⭐⭐⭐I really enjoyed the class, i went to the day and night courses in Vancouver and liked them both. It never got to be boring and I was always learning something new. You did a great job teaching and kept it interesting (never a dull moment). I am currently looking for a job bartending/serving but the course will help me get a start. Great job!